Ultra-fast editing: Change a parameter and immediately see the result. No preview window is required as the result is seen directly in the 3D view in the final resolution. Ultra-fast generation: Instant Terra generates a terrain ready to use in your production very quickly. 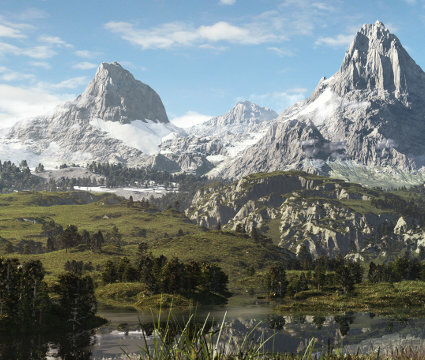 Your computer no longer determines the maximum size of your terrain: your terrain can contain billions of quads. Instant Terra handles it while maintaining a seemless workflow. 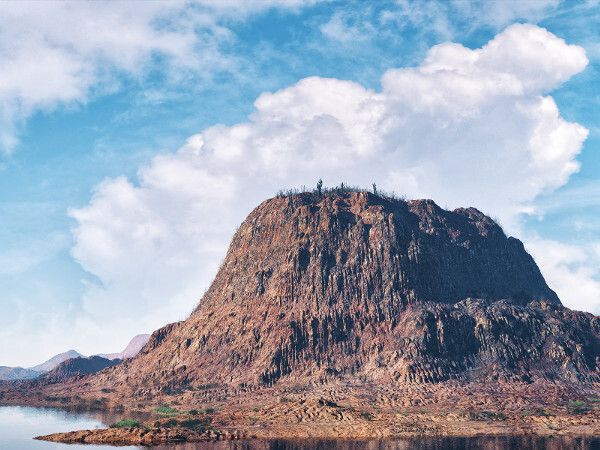 Automate realism: simulate the natural effects of time, such as rain erosion. 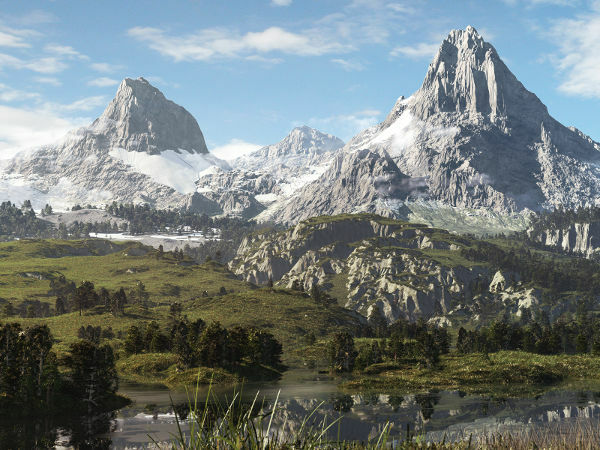 Your terrain looks realistic because it has aged according to the natural laws of geophysics. 8, 16, and 32 bits are supported, including tiff, png, tga, Raw 16 bits, and OpenExr 32 bits. In recent years in the gaming industry, game play and design have exceeded expectations. The space in which games are held has greatly expanded and we now speak of terrains that are hundreds or even thousands of square kilometers. The tools available to artists do not allow them to take their creativity to the limits. Most existing tools are limited, slow, and complex. 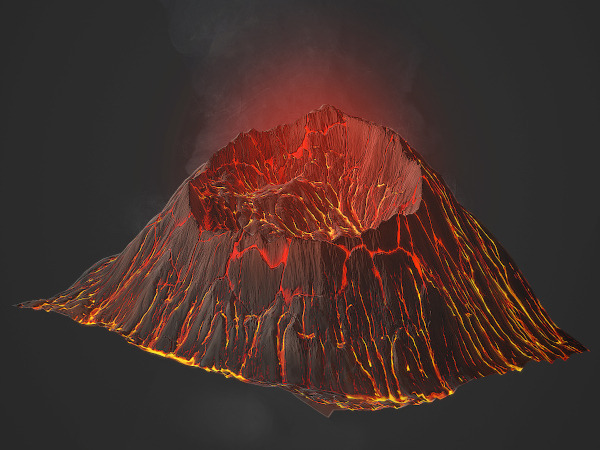 With this in mind, we embarked on an adventure to provide a new user experience with a terrain-generation tool based on innovative technologies. 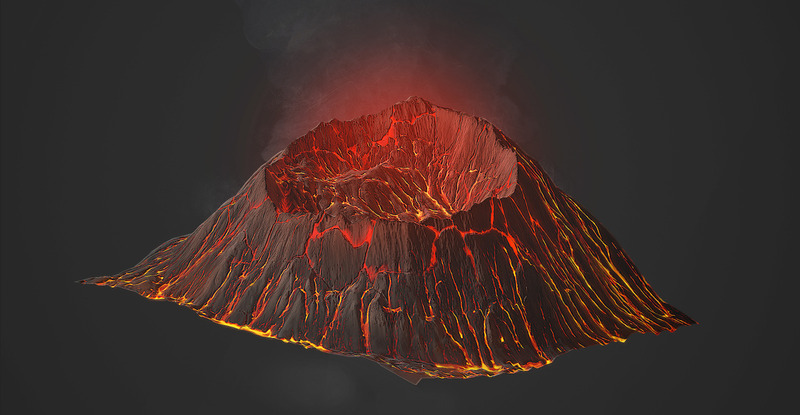 We created Instant Terra to meet these new challenges. Previously at Ubisoft, Alexis has 20 years experience in software development for digital creation in the field of video games. He is both Expert Programmer and Project Manager. Alexis has had the opportunity to present his work to the international community at the Game Developers Conference Europe 2014 and the Game Developers Conference 2015. After more than 15 years working in software companies, Marianne spent the last 10 years at Ubisoft. As Associate Producer, she was in charge of project organization and tracking, technical documentation, and communication within projects. 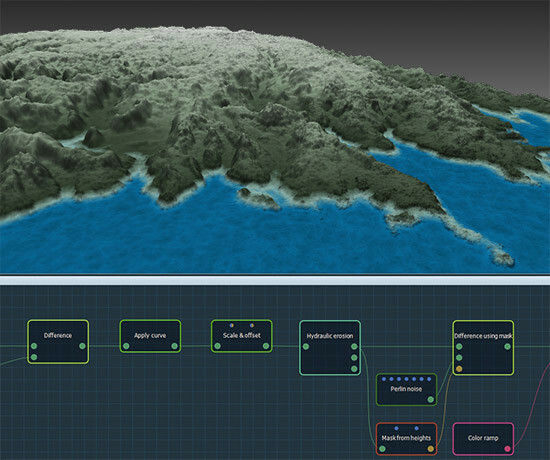 Procedural tools bring power to digital tools. 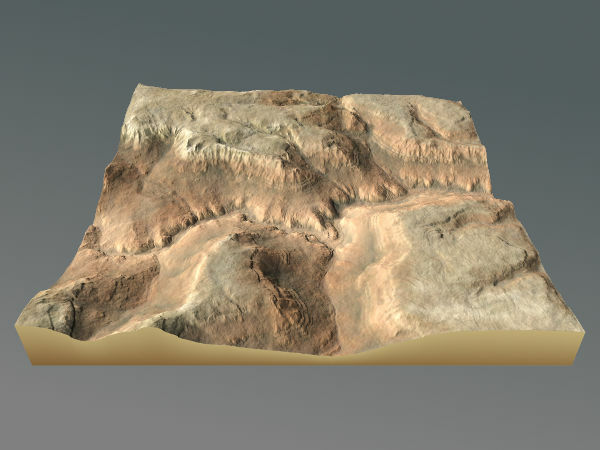 In terrain creation, a procedural tool ensures a non-destructive process, whatever the size or complexity of your terrain. Instant Terra is a node-base tool where you link nodes to make graphs. At any time, you can change any parameter of any node. The graphs are recomputed in real-time and you can see the result of your changes immediatly. In Instant Terra, masks define where and how the global actions are applied. You can use masks to protect some areas from global actions, or use them as per-vertex coefficients to be taken into account by the calculations. With Instant Terra, you work directly in the final resolution. 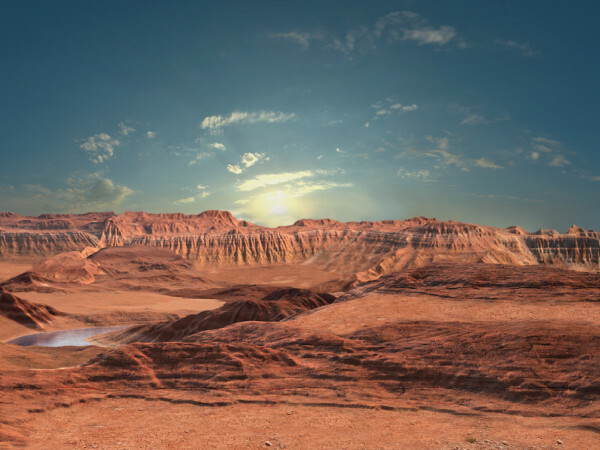 Whatever the size of your terrain, Instant Terra always shows you the final terrain with all its details. Use terrains of different sizes together and use a mask to drive the composition. 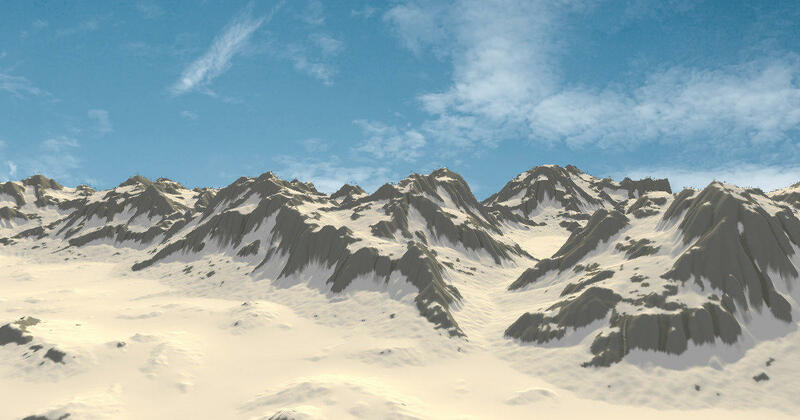 Paint masks directly in the 3D view and immediately see the results on the final terrain. Add a node anywhere in your graph to change the size or resolution of a terrain or a mask. 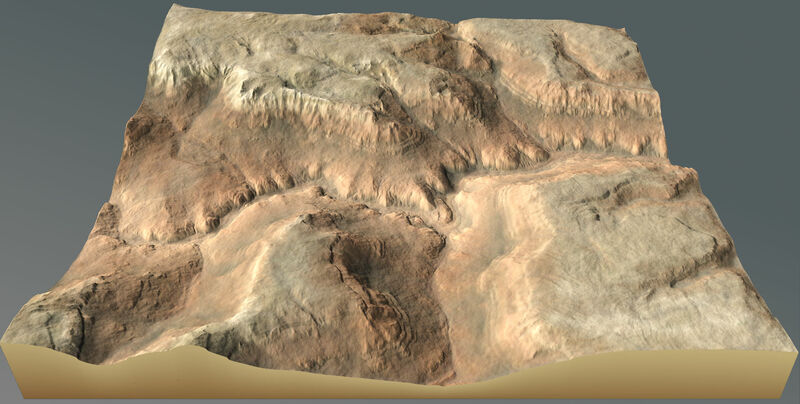 Create realistic terrains with the erosion simulation. Use the preset parameters or play with the advanced parameters. Instant Terra is designed to handled large terrains. A 32k x 32k terrain? 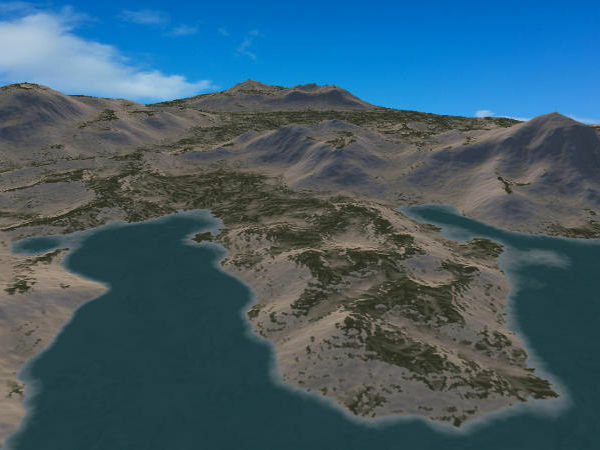 A 64k x 64k terrain? No problem! If your input data are split into several files, import them at the same time to build a terrain. Indicative roadmap. The priorities are subject to changes based on your feedback and needs. Instant Terra V1.5 - Available now! 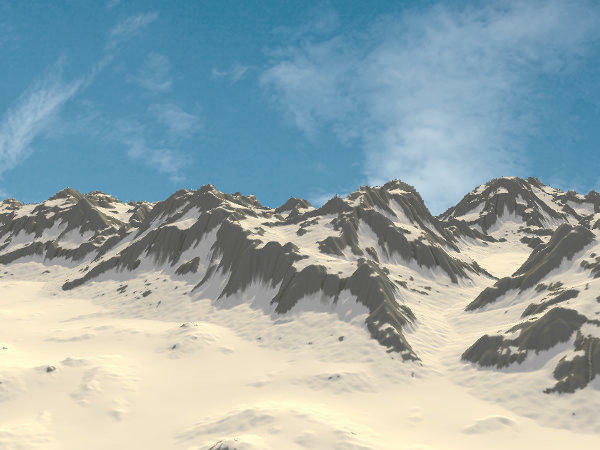 Erosion: A new type of erosion "Mountain erosion"
Global variables: Define some global settings for your project. Integrate Instant Terra into your pipeline production. 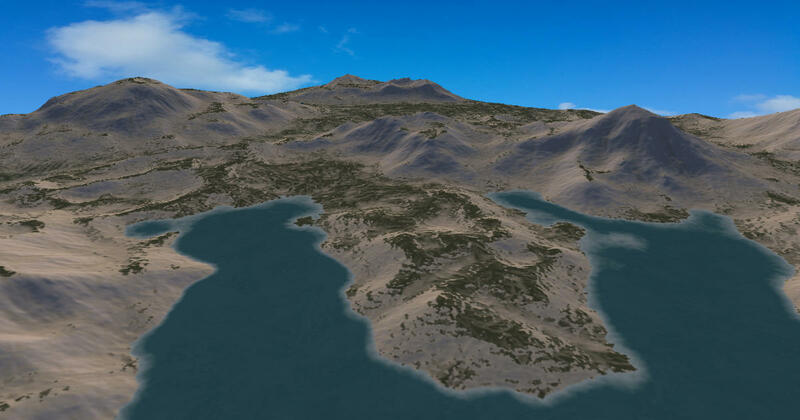 Wysilab has released the next version Instant Terra with mountain erosion, lighting, and new export formats. 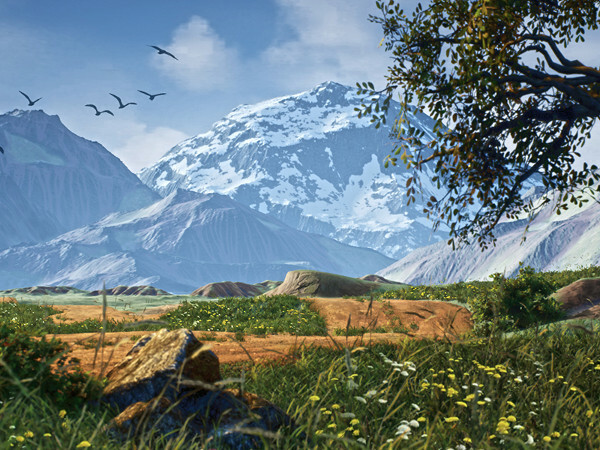 Wysilab presented Instant Terra, Instant Terra Unlimited, and Instant Terra Pro at GDC 2019. Wysilab provides ready-to-use components to use directly in your projects.